Amsterdam, April 2019 - PEdALED believes that experience is an essential element when creating something new. The Odyssey Collection is a culmination of what they have learned since 2007. 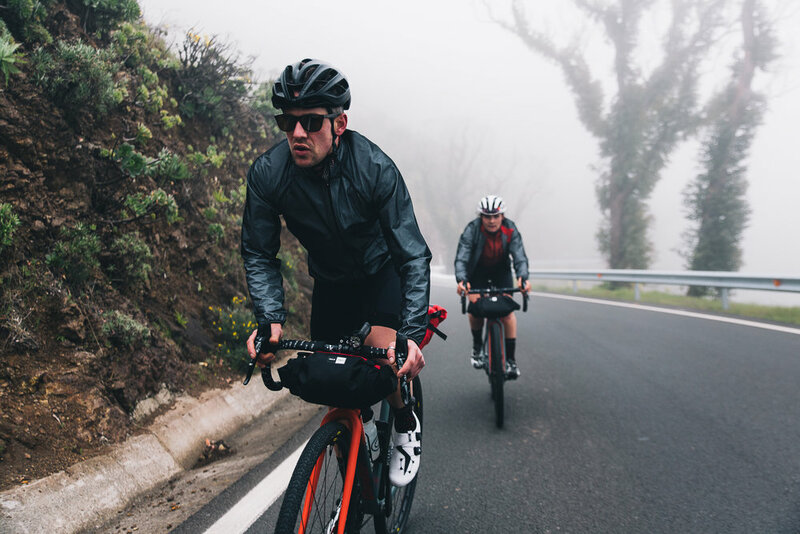 Crossing Europe in the Transcontinental Race, professional races with Britain’s oldest team, JLT Condor, and exploring Kyrgyzstan during the first Silk Road mountain race steps that were taken to get to develop this collection. 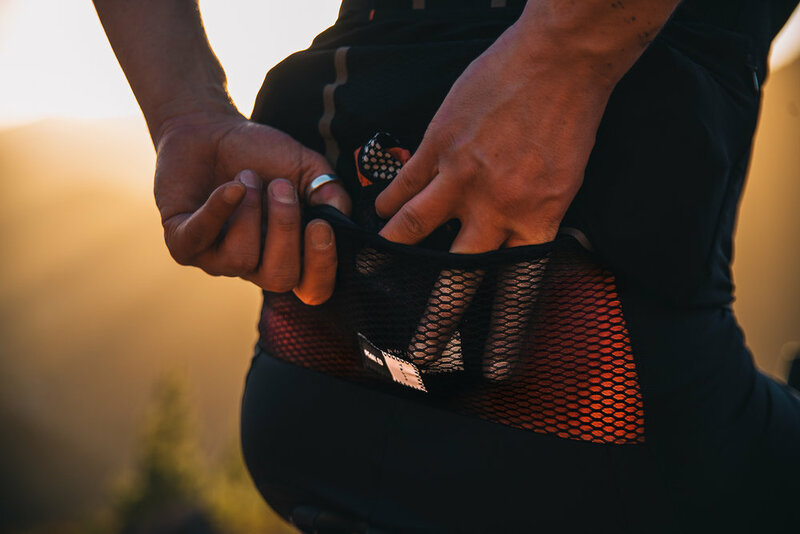 The extremely versatile and highly visible details combined with innovative Sensitive skin® fabric, The Odyssey Collection is designed to be the ultimate range of garments for ultra distance cycling on and off the road. 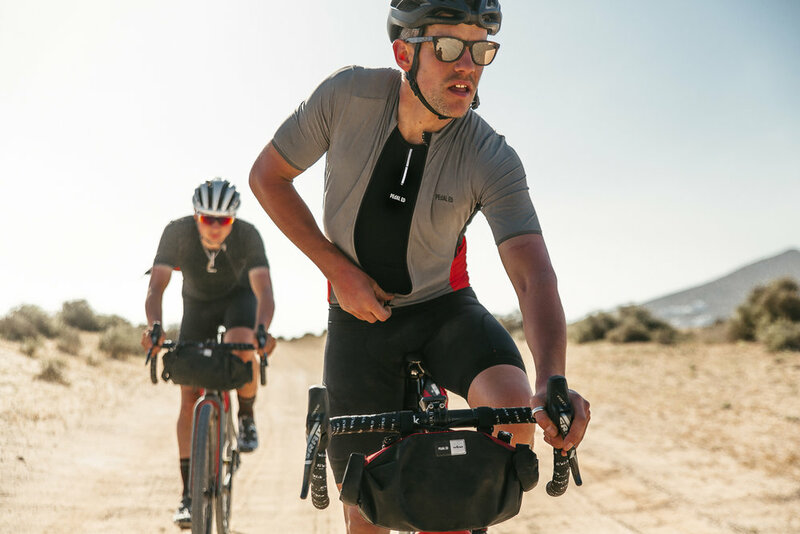 This jersey is the first in the world to feature seven pockets, two lateral, three big cargo pockets on the back, one zip pocket for valuables and an extra dry mesh pocket on the back in case you’re carrying wet garments. Reflective elements on the back, on the arms and on the back pockets offer the necessary visibility when riding in dark conditions. The Sensitive® fabric that PEdALED has developed over the years is extremely comfortable when riding in different weather conditions. It guarantees extreme breathability, dries quickly and has an anti-odor protection. The Odyssey Bibshorts are designed to be the most sophisticated yet simply refined element of the Odyssey collection. When designing the range, PEdALED aimed to create bibshorts with a high volume of storage which wouldn’t compromise their pure aesthetic. 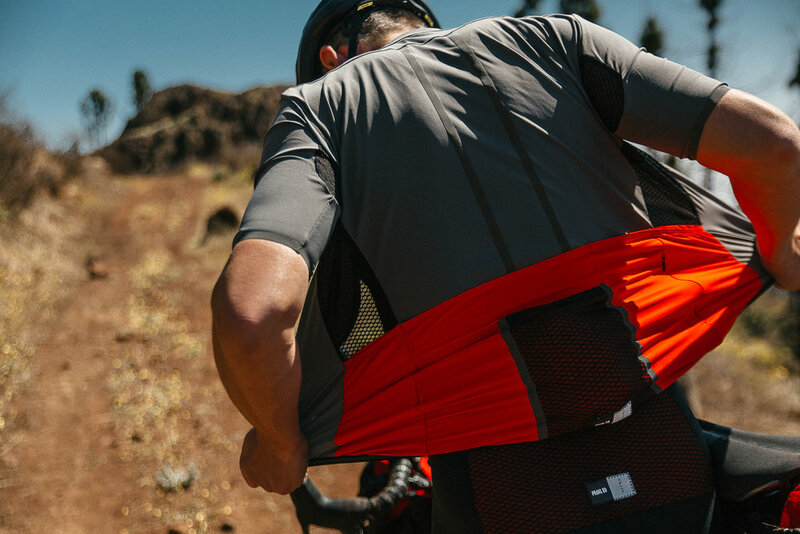 The Odyssey bibshorts are equipped with three cargo pockets, two hidden legs pockets and one big pocket on the back. 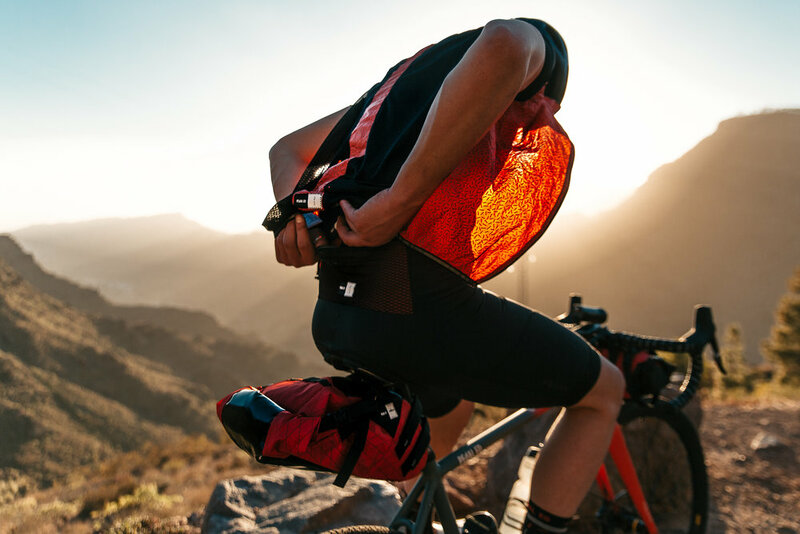 The leg pockets are designed to store food and any necessities for long rides. The design is incredibly simple and functional, quickly accessible which allows you to grab anything without having to stop. The lower opening on the gripper prevents objects from escaping while riding. The bibshorts are completed with laser cut suspenders for maximum comfort during the longest rides. The Odyssey Jacket is a waterproof garment that combines lightness and breathability with a superior resistance to water. The jacket is equipped with an internal pocket and can also be used to store the Odyssey Jersey. Making it the perfect garment to bring on the road when the weather conditions are uncertain. The Odyssey Jacket has an extra back panel that can be used in case of heavy rain. PEdALED's reflective logo is placed on the back of the jacket which makes cyclists visible in dark conditions. The Jacket has a side zip pocket to store valuables and keeping them dry during heavy rain. The YKK offset zip is designed for a more comfortable experience while riding. The Odyssey vest is designed to be a highly visible must-have, when being on the road for days. The reflective print is inspired by the Japanse symbol for rice. Combined with the back mesh panels, they are designed to match the reflective elements of the Odyssey Jersey. The Vest has the necessary breathability, a zip pocket on the front for extra valuable goods and the inside mesh elastic pocket can be used to store necessities. 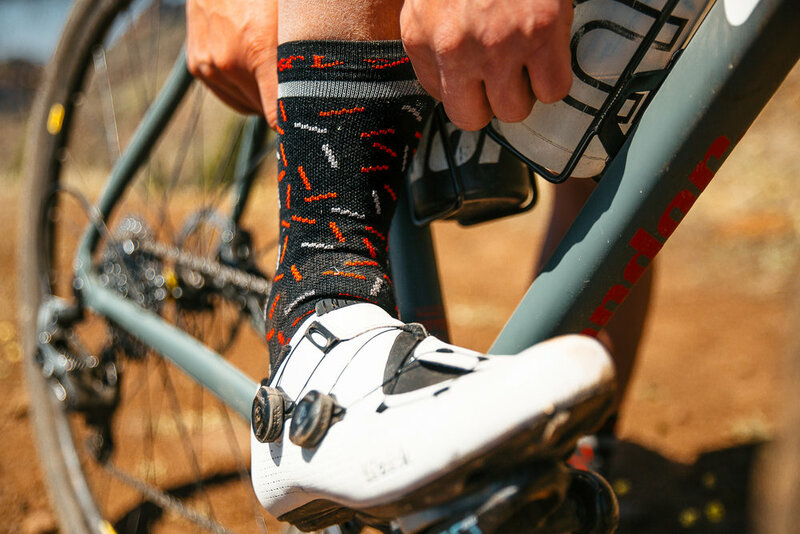 The Odyssey Silk socks are made of a special blend composition of silk and wool, to guarantee superior comfort during long rides. The introduction of silk is a revolutionary step to provide the right degree of breathability while keeping your feet dry and smell free during any kind of ride. They can be worn during the long hot summer days or during cooler months. The Odyssey socks feature a reflective stripe so you can be better seen in the dark. PEdALED was founded in Tokyo, Japan in 2007 by creative talent Hideto Suzuki. Suzuki began creating beautiful and functional apparel to complement his cycling lifestyle in Tokyo. The brand started out of love for cycling and has since created a number of award-winning collections. PEdALED believes that each garment's feature can improve function and performance as well as make the most comfortable and long-lasting garments on the market. PEdALED apparel is now handmade in Italy, where the heart of cycling apparel production lies.